the Bear Blog: 3 Yards Is Plenty! 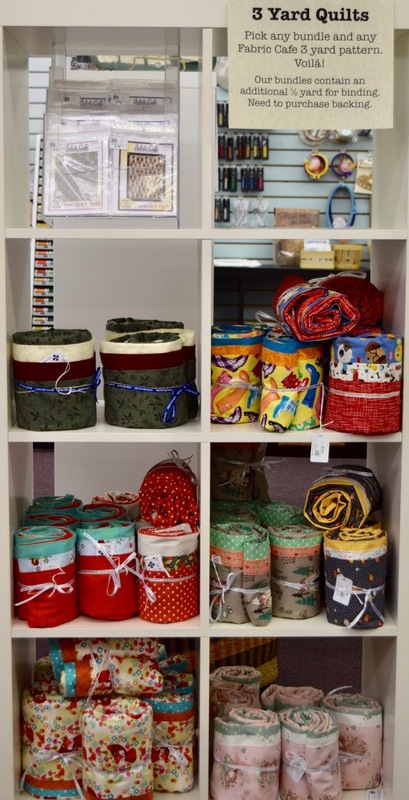 We are loving the convenience of the 3 Yard Quilts by Fabric Cafe! 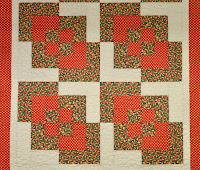 Take 1 yard each of 3 fabrics and any of the many assorted patterns we have, and voila! 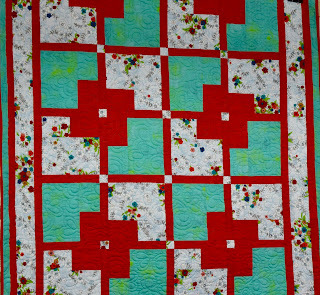 A nice lap size or kid size quilt! We have bundled up some of our favorite coordinates to help you get started. 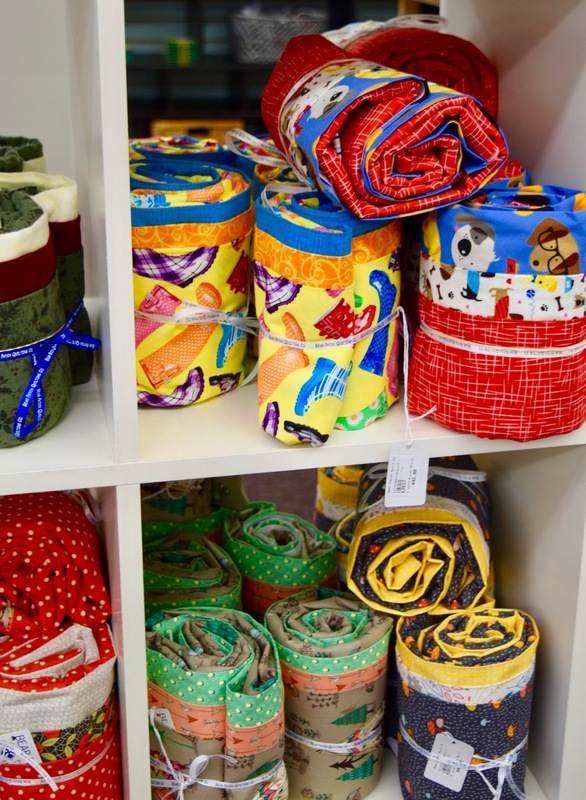 They range from cute little kid theme prints, to cozy up-north flannel, to pretty florals that would make a great comfort quilt. Or, we can help you pick your own style! We have 4 booklets full of 3-yard designs, plus about a dozen individual patterns. There are probably 2 or 3 that will catch your interest! 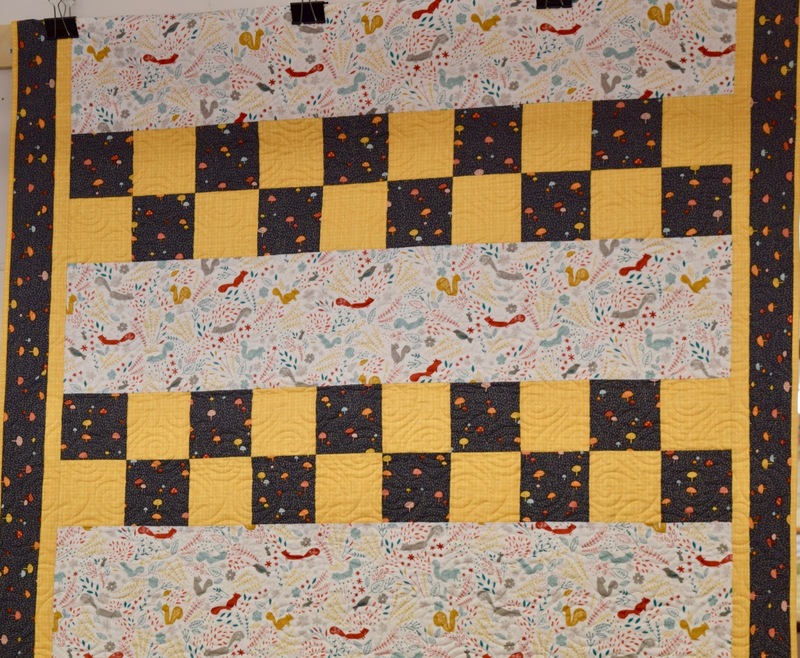 And we have samples of some of the quilts on display. 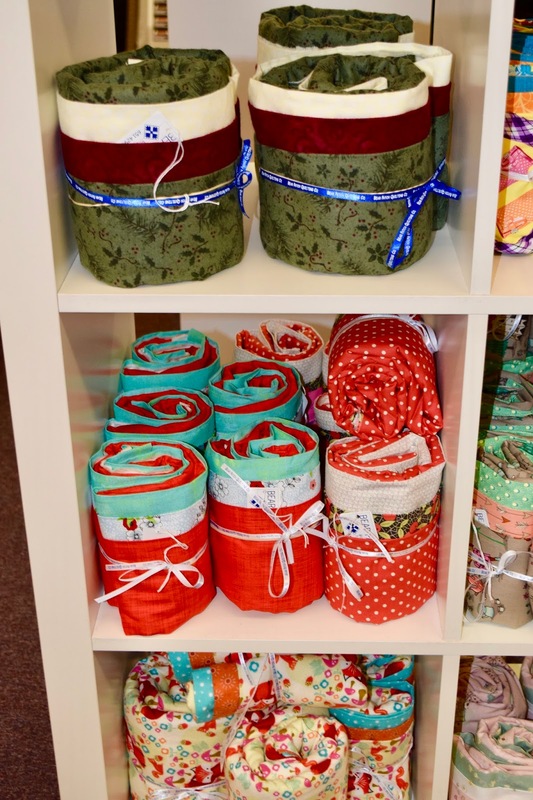 Any of the 3 yard bundles will work with any of the patterns, so the possibilities are endless! 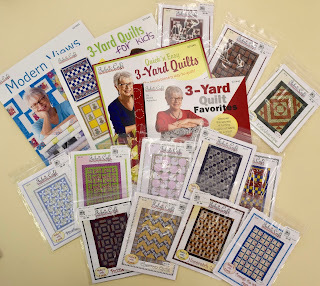 You can try to choose just one, but chances are good that there are several 3-yard quilts in your future! 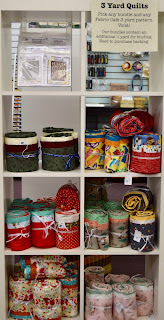 I have made the Kaleidoscope quilt from this shop. 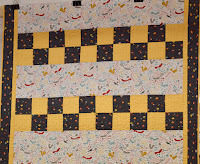 The pattern is fast, accurate directions and so easy to do! 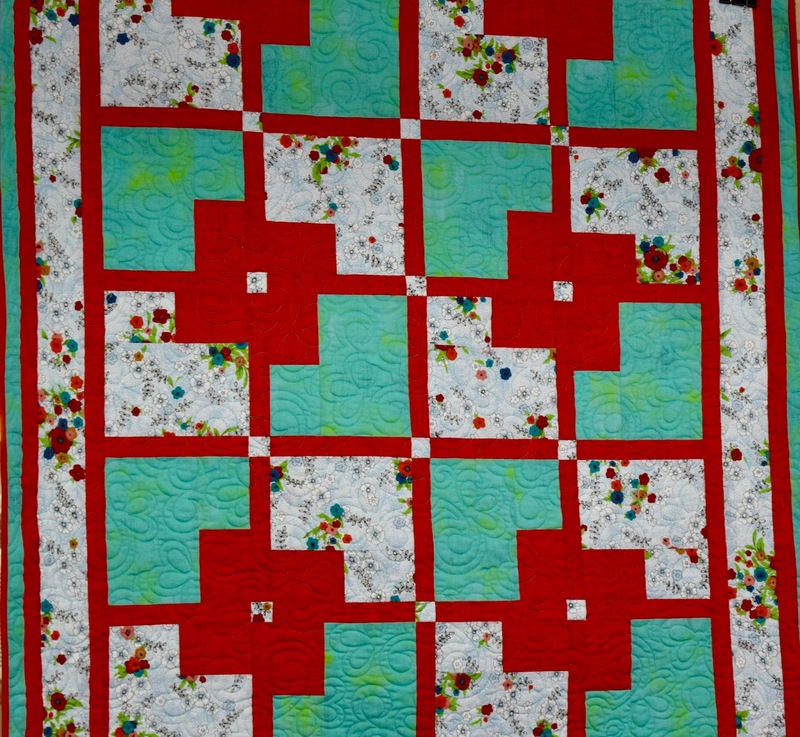 It was perfect for my new granddaughter last year. 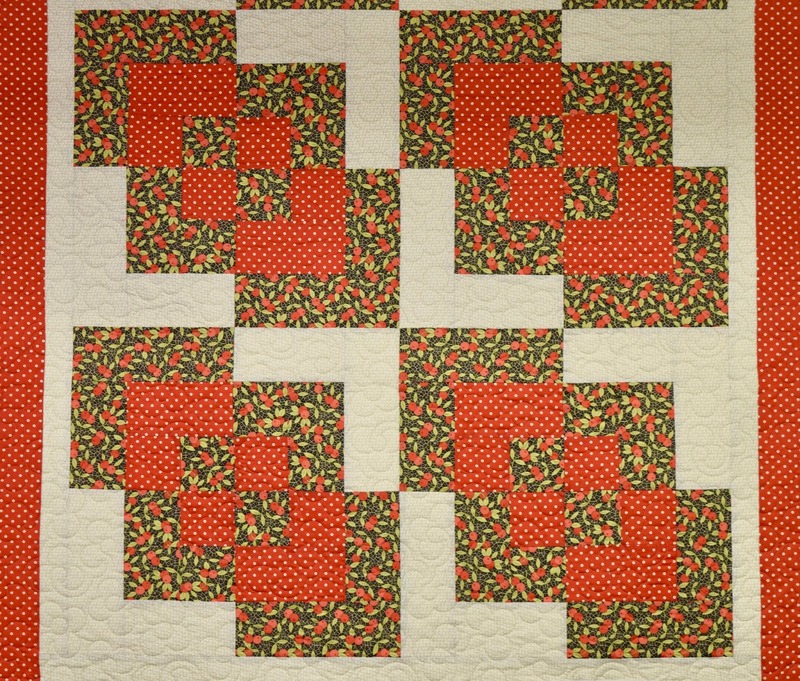 These are fun patterns to make!